Horse Racing Evening was a big hit! 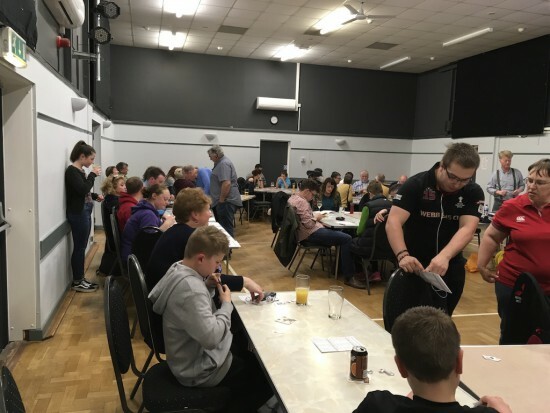 With all races sponsored, all horses and jockeys sold prior to the evening and good pre-sales of entry tickets a great contribution of more than £700 towards our clubhouse fundraising was assured. We even added a 9th race! This means that with 2 other recent fundraising events, through our own efforts we have raised over £2000 in a month! David Ponton was a superb Compere! David Ponton was excellent as Compère and our team of video technicians and bookies ensured a smoothly run evening. 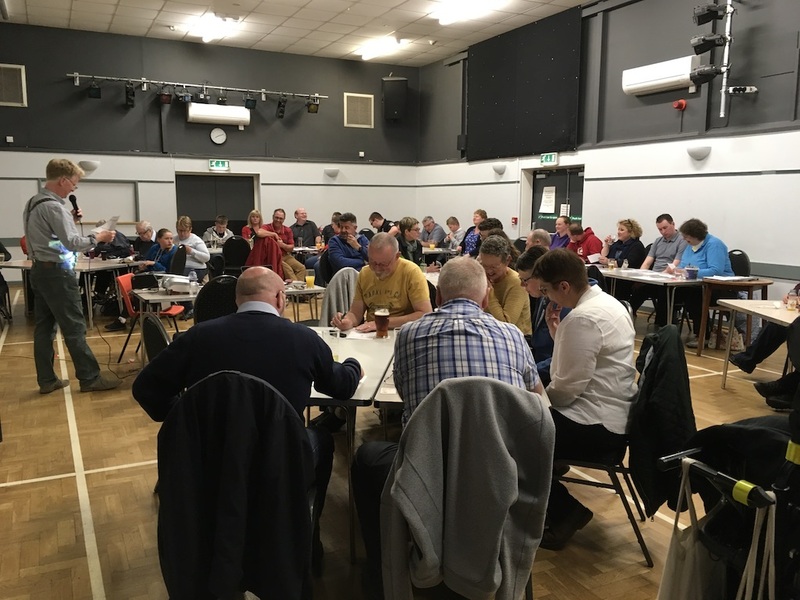 Hucclecote Community Centre – An excellent venue. Our venue, Hucclecote Community Centre was ideal and we were very well looked after. There is a long list of social and fundraising activities planned as we work towards the next stage of our clubhouse. On the 22nd June we will be having a Samba Band instructor come to the Ground in the evening to work with 2 groups, a junior and a senior team who after learning a song and will go head to head to see who is the winning team! We will also produce a YouTube video. A team of volunteers and cars will be attending a car boot sale on the 27th May. We have a quick succession of tournaments we are hosting over the next month or so. Including a County Friendly match and the County Field Championship. These started 2 weeks ago and will continue most Saturdays until September. We have recently completed a series of field captains workshops to boost the number available to support our practice sessions. Following one of those workshops, Kevin and Karen Macey have begun the process to qualify as judges. They will hopefully eventually join the judging ranks with our own Graham Kent but a lot of hard work in the interim. A copy is attached to support any clubs that would find it useful. ← Improving weather signals more success!